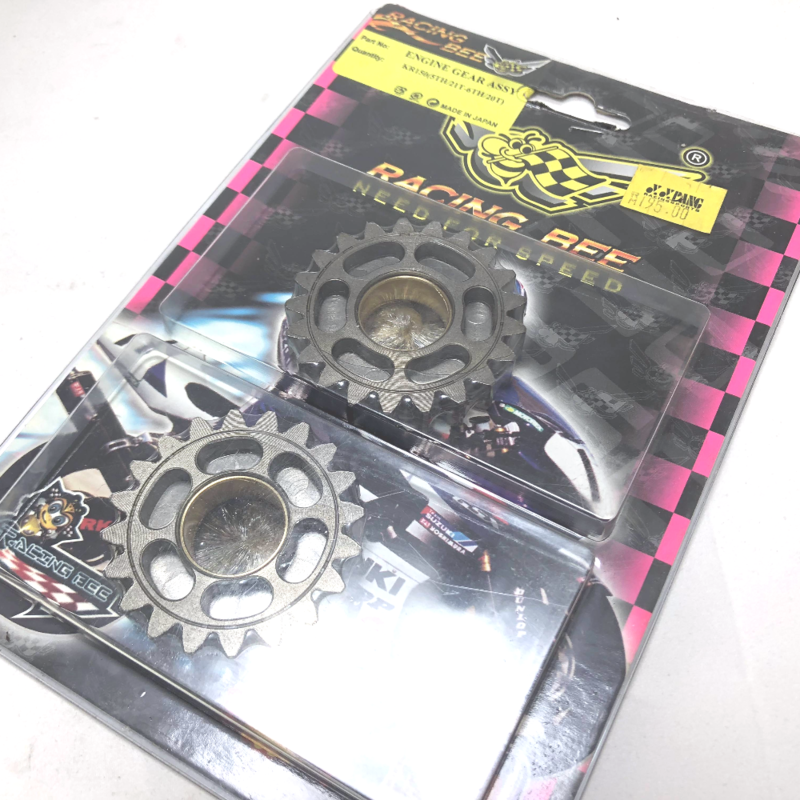 100% original Racing Bee product. High quality racing gear for Kawasaki KR150. Ratio: 5th (21T), 6th (20T).